Jewellery or accessories for men have always been lesser in variety as compared to jewellery options for women. But, times are a changing now and the men of today are more than ready to explore trendy styles of jewellery. Jewellery for men have taken a whole new meaning for the macho guy of today and cufflinks top the list in the category of men's jewellery. 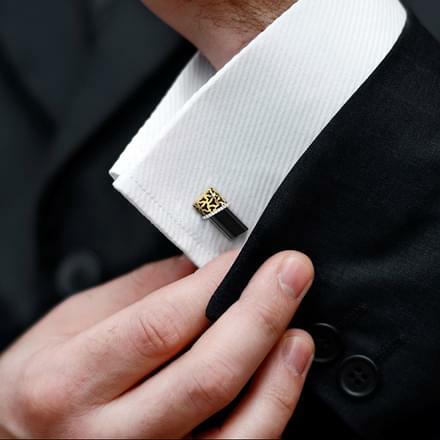 Traditionally, cufflinks are combined with men's semi-formal look or evening wear, but these stylish little accessories have sneaked into every man's wardrobe. CaratLane has created a huge collection of cufflinks for men which is indeed dashing and has a unique design that cater to varied tastes. 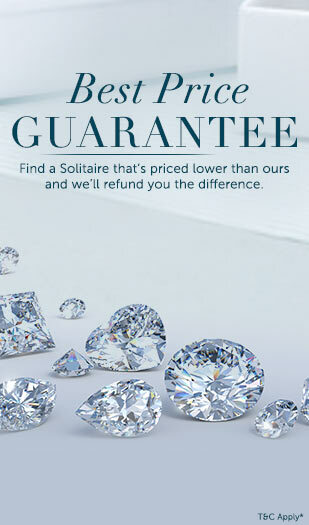 Enjoy a satisfying shopping experience online on CaratLane! You can buy from bold and chunky designs, to sleek or classic styles of gemstone cufflinks or diamond cufflinks for men. There is a lot that can be explored in the cufflinks category now. And, it gets much more exciting as online shopping of your favourite jewels becomes easier with CaratLane. From yellow gold to white gold to sterling silver and its two-tone variants, CaratLane's selection of cufflinks is unmatched and distinct. The pricing of the cufflinks for men starts from Rs. 10,000 and goes up to Rs. 50,000. 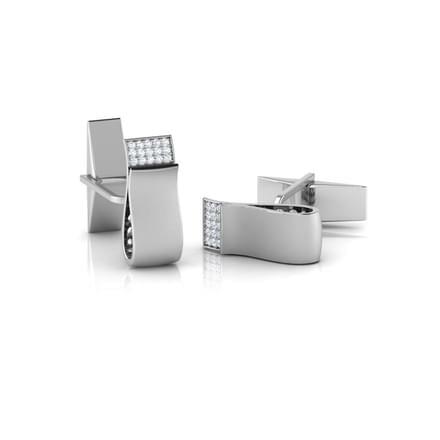 Browse through CaratLane's extensively selected range of cufflinks for men. 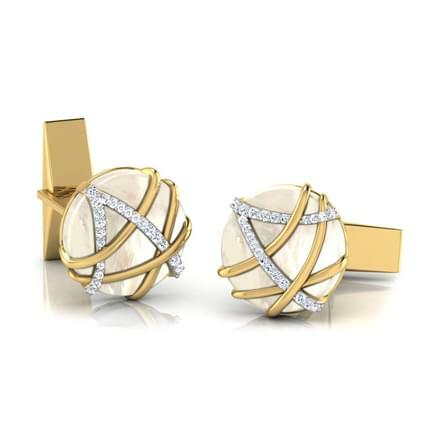 Round shaped cufflinks are the most classic and are sure shot winners in the various cufflinks designs. 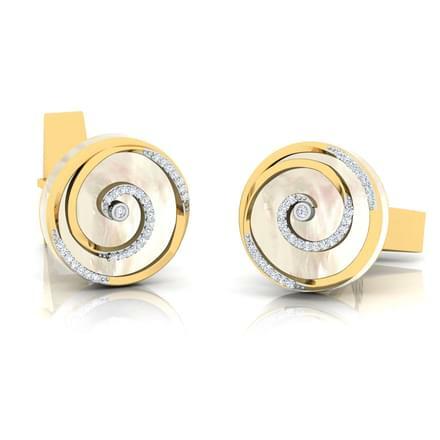 The Carl Swirl Cufflinks, set in 14 Kt yellow gold and diamonds or the Alex Gold and Silver Cufflinks, set in diamonds and 14 Kt yellow and sterling silver are stylish designs of cufflinks for men by CaratLane. 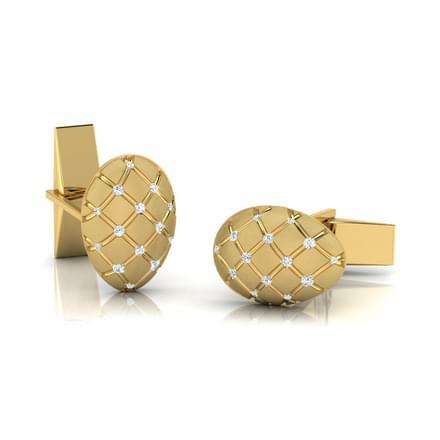 The Adam Gold and Silver Cufflinks, set in diamonds and 14 Kt yellow gold and sterling silver is another smart style of cufflinks, sure to add a lot to your attire. 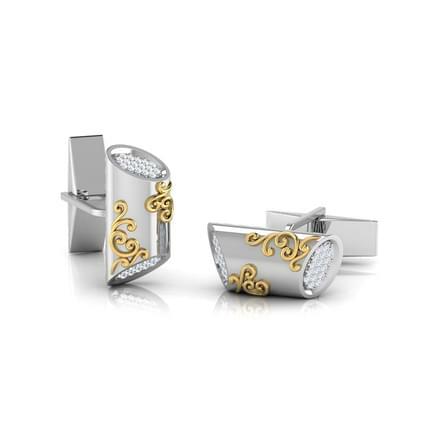 CaratLane's Curt Gold and Silver Cufflinks, set in diamonds and 14 Kt yellow gold and sterling silver is indeed a dapper looking style among the exclusive range of cufflinks for men. These square shaped cufflinks will make you stand out from the crowd and can be flaunted on a special evening. 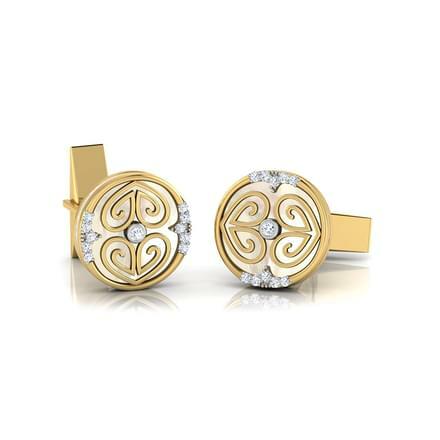 The Toby Wave Cufflinks, set in white gold and diamonds is another outstanding design among cufflinks for men. 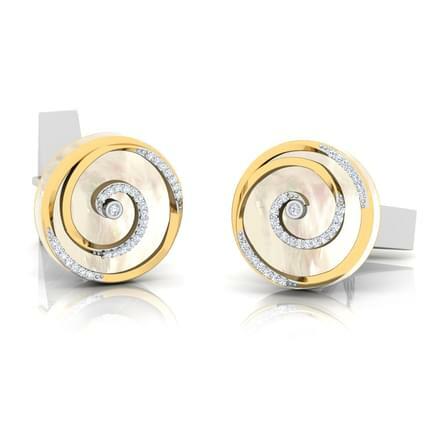 The wave design of cufflinks is unique and daring. 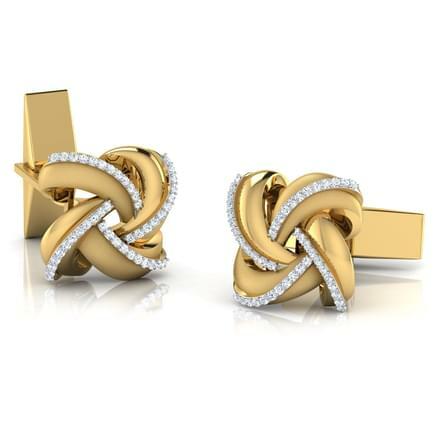 The Ryan Interlooped Cufflinks, set in 14 Kt yellow gold with diamonds are another trendy cufflinks for men design by CaratLane. The Bert Cupped Cufflinks are a true beauty in black, gold and diamonds. 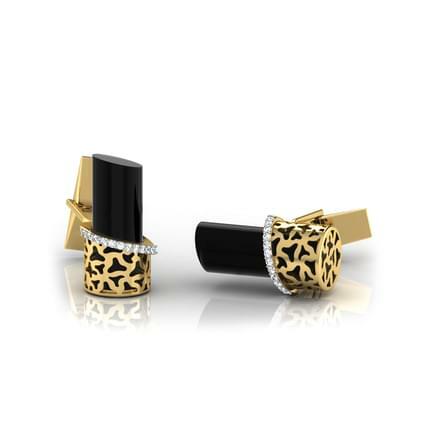 Crafted in 14 Kt yellow gold and diamonds with onyx, these cufflinks are a dazzling pair of men's accessories by CaratLane. Explore Cufflinks for Men on CaratLane! 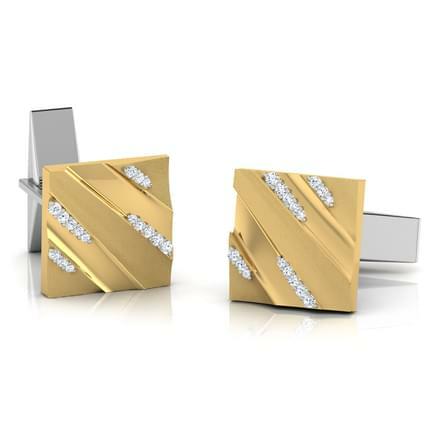 CaratLane is moving forward with a trendy statement creating designs of cufflinks for men. Available online for shopping, it's range promises the best quality and pricing. The jewellery available online on the portal is certified for authenticity by third-party international laboratories like SGL, IGI, BIS, GIA, GSL, GSI and Variety Hallmark. The portal provides various online payment methods like credit or debit cards, net banking or online funds transfers. Customers may avail its 30-day return policy or the lifetime exchange policy, along with an easy EMI option. You can also use its Try@Home option and try your purchase before complete payments are made.